The Rams haven’t played in a Super Bowl since 2002, which coincidentally was against the Patriots and a then 24 -year-old, fresh-faced, first-year starting quarterback Tom Brady. Under quarterback Tom Brady and coach Bill Belichick, The Patriots head into their ninth Super Bowl and a win would tie the Patriots with the Pittsburgh Steelers for the most Super Bowl wins by a team in NFL history. A win would also give Tom Brady a record breaking six Super Bowl rings. Meanwhile, as the fourth-youngest quarterback to play in the Super Bowl, Jared Goff has made the transition from first overall pick in the 2016 NFL draft to starting quarterback in the Super Bowl in just three years, a feat he has accomplished faster than any other quarterback ever has. It’s been a bumpy road for Goff and the Rams on their way to the Super Bowl. After moving back to Los Angeles three years ago, they went a dismal 4-12, fired their head coach before the season ended and looked like a far cry from a playoff team, let alone Super Bowl contenders. But under new head coach Sean McVay’s leadership the Rams have transformed into back to back NFC West divisional champions, 2019 conference champions and now have the opportunity to play for their second Super Bowl title. 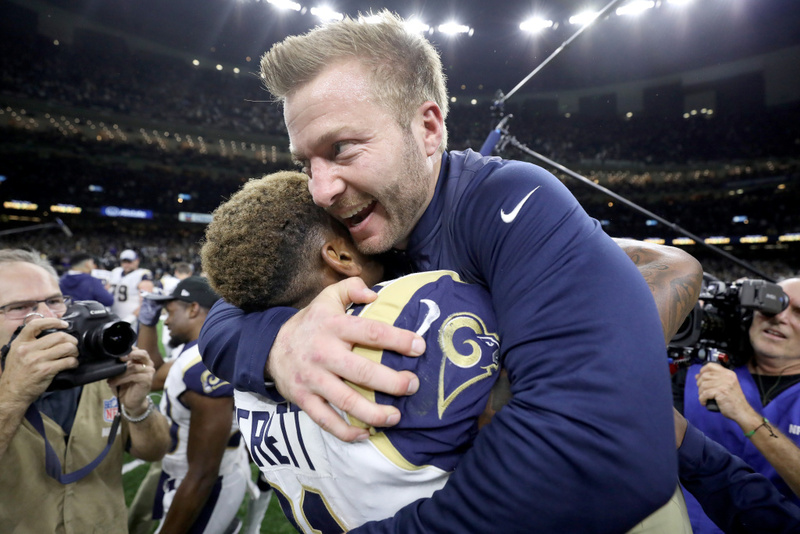 At 33 years old, McVay is already the youngest coach to lead the team to the Super Bowl, but if the Rams win on Sunday he will also become the youngest coach ever to win a Super Bowl. Be sure to tune in to Super Bowl LIII as the Rams face off against the Patriots at the Mercedes-Benz Stadium in Atlanta this Sunday at 3:30 P.M on CBS.